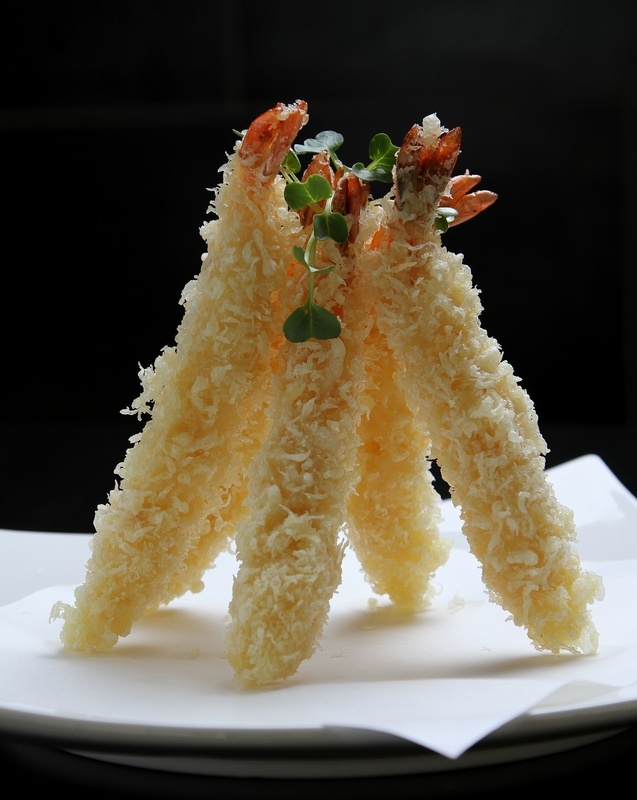 Tempura that stands on its own. I recently wrapped up a couple of editorial assignments that required lip-smacking images of food. When I approach food photography, I lean towards large simple lighting, clean backgrounds and authentic food appearances. This last point is important to me. I don’t change the food once the chef has handed it off for two reasons: I want to show the food exactly the way it was prepared, and more importantly, I will probably eat some of it when I’m done photographing it. I certainly don’t want to dress up the food with any products that aren’t part of the original recipe. So no motor oil on the meats for me, thank you. Since I usually get to “shoot my cake and eat it too,” this makes me very happy. 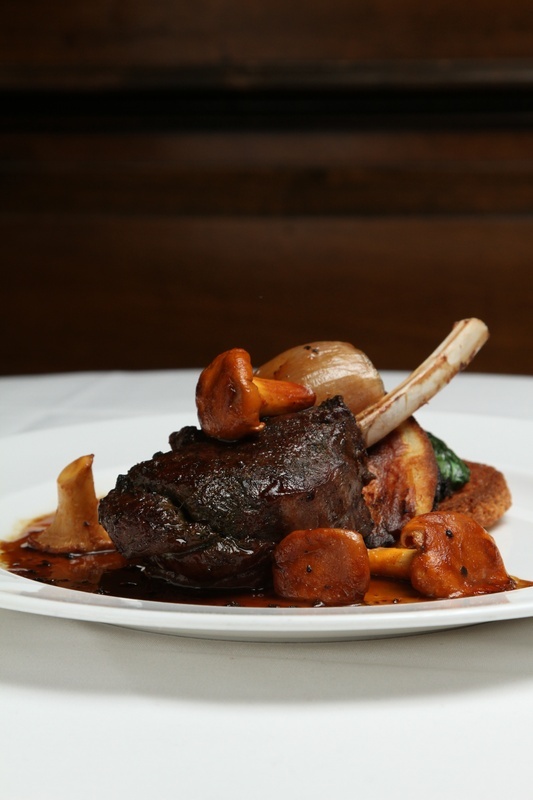 The challenges with food photography include working carefully to light the food so it looks its best and working quickly before the appeal of the food wears off. 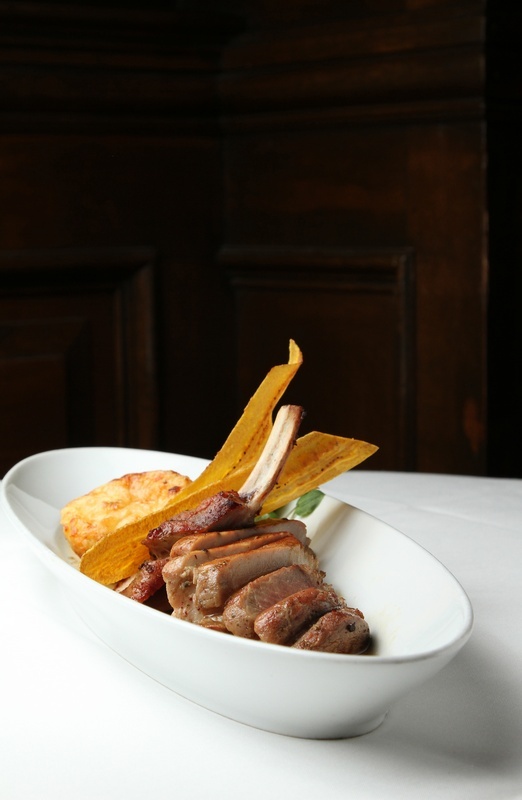 Freshly cooked food can lose its luster quickly. 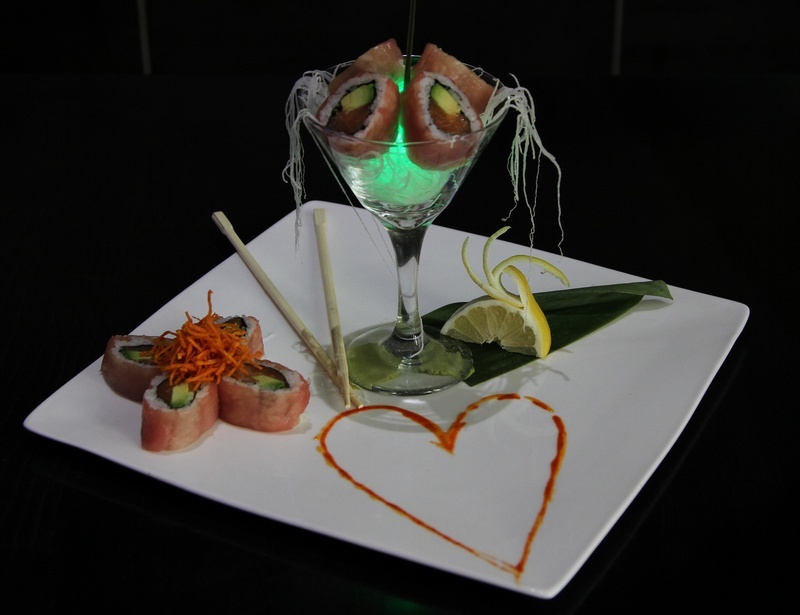 The first assignment was a photo essay of a newly-opened Sushi/Karaoke Restaurant in downtown Sacramento. 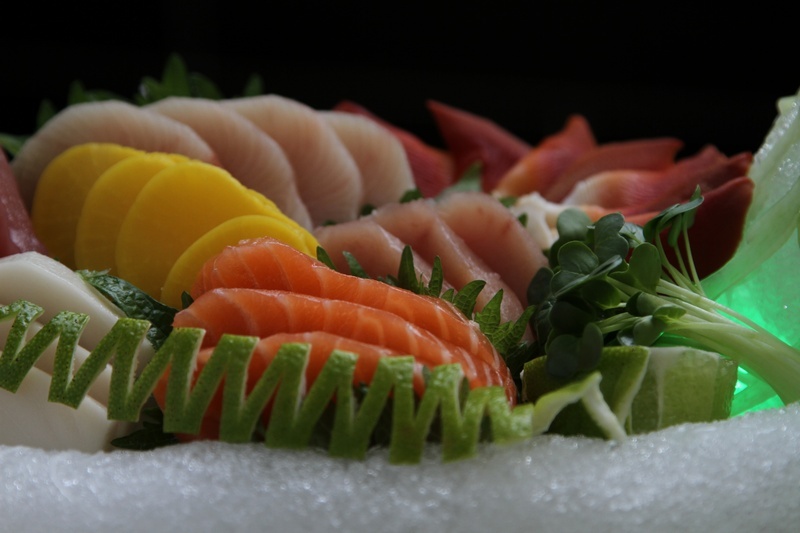 Oishii Sushi Bar and Grill is a visual treat. 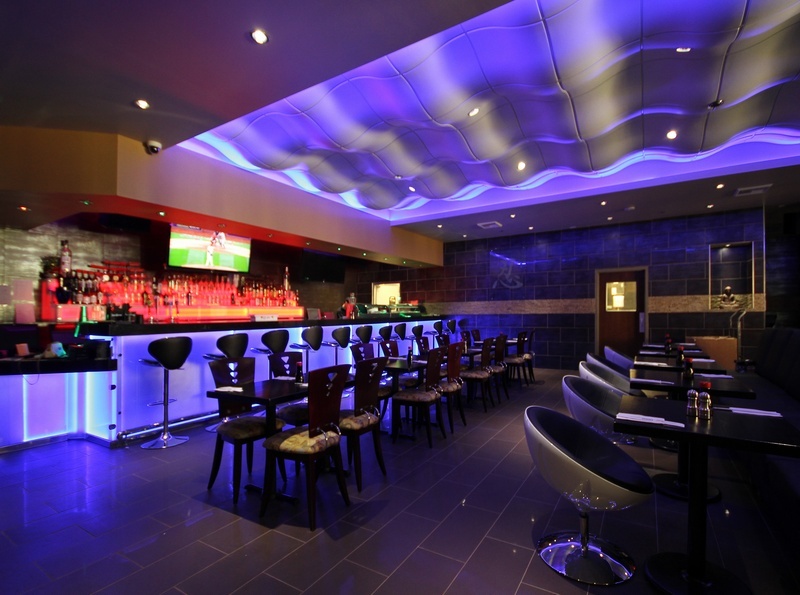 Located on the second level at 10th & K Streets, the large bar area is lit with remote-controlled LED lights that pulsate in different colors. 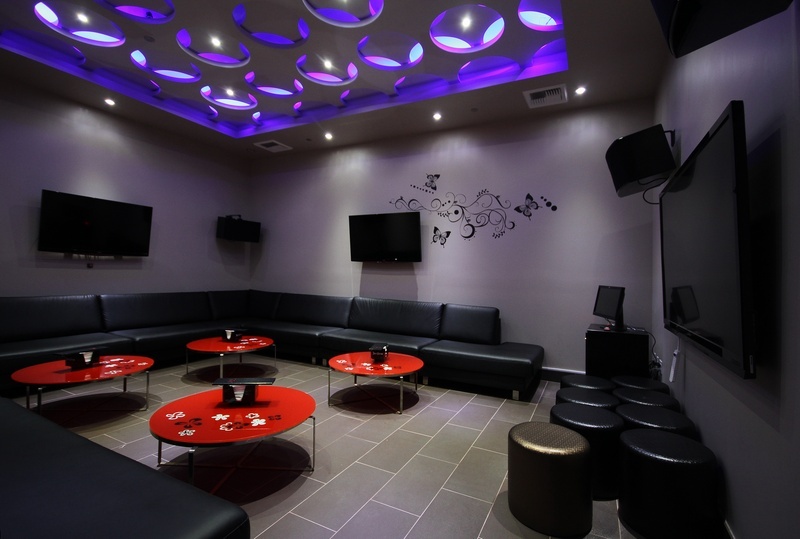 In addition to the bar and restaurant seating areas, Oishii offers a number of private karaoke party rooms; some rooms are small and some are very large with several large TV screens. Since I was working on location, I brought a couple of small speedlights, adjustable radio triggers, a 24″ square softbox, various small reflectors and lighting modifiers. I carried all the gear in two bags – a large shoulder bag for the cameras, lenses and lights, and a baseball bat bag for light stands and a carbon-fiber tripod. I arrived at Oishii on the afternoon prior to their grand opening day. The manager and several employees were scurrying around taking care of last-minute details. I took photos of the various rooms when I arrived. Then the sushi chef got busy and starting sending out food plates to be photographed. One of the large karaoke rooms. Some of the food plates included LED lights inside the food arrangement. This added a lighting challenge because it would be easy to overlight the plate and wash out the glow of the LED lights. 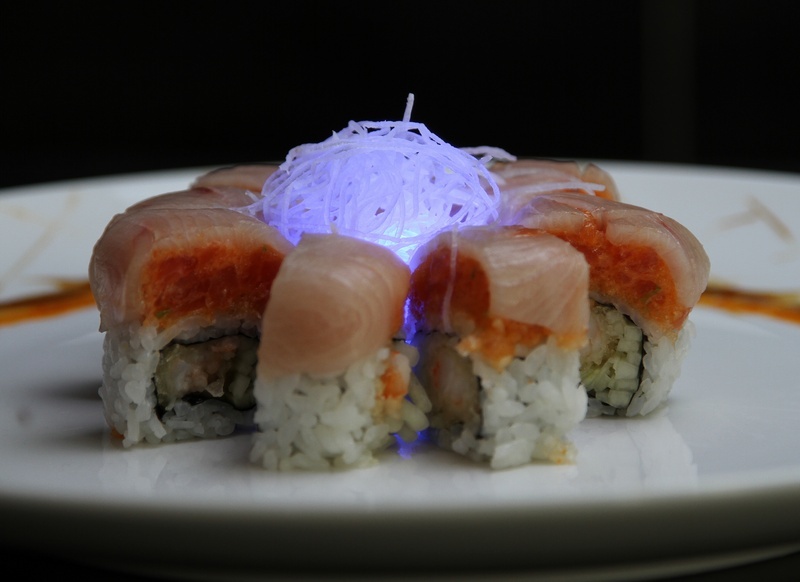 An LED light is the centerpiece of this sushi plate. Most of the food photos were lit with the softbox above and slightly behind the food to accentuate the texture along the top and camera side of the food. After adjusting for reflections in the plate, I positioned a couple of small white reflectors in front of the plate to add some detail to the front side of the food. The backlighting allowed the LEDs to show. 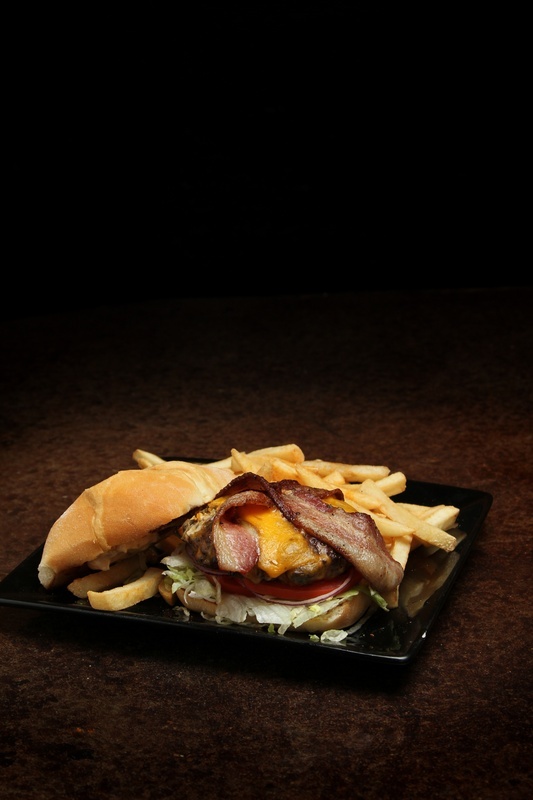 I opted for dark backgrounds to allow the textured edges of the food to show more clearly. One way to show the LED lights is to position them in front of the dark background. So, one light and a couple of reflectors did the trick. For the record, the food tasted even better than it looked. The second assignment was for Outdoor California Magazine. 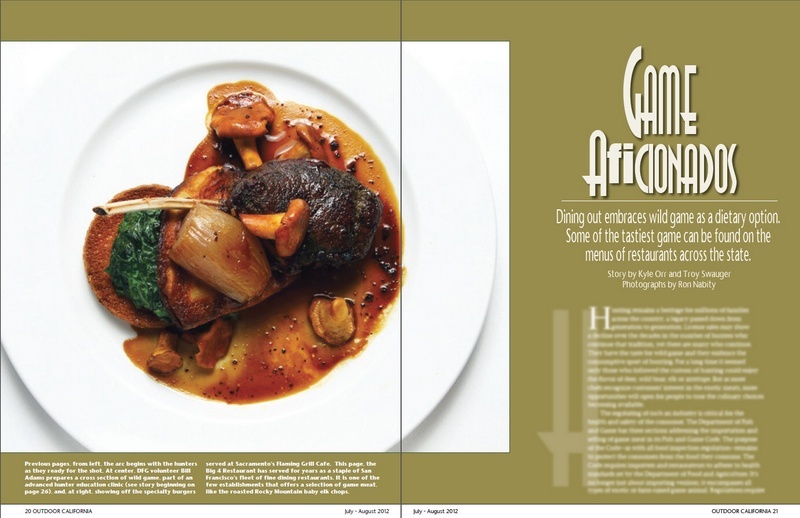 The article featured photographs from a couple of restaurants that offer wild game as menu options. 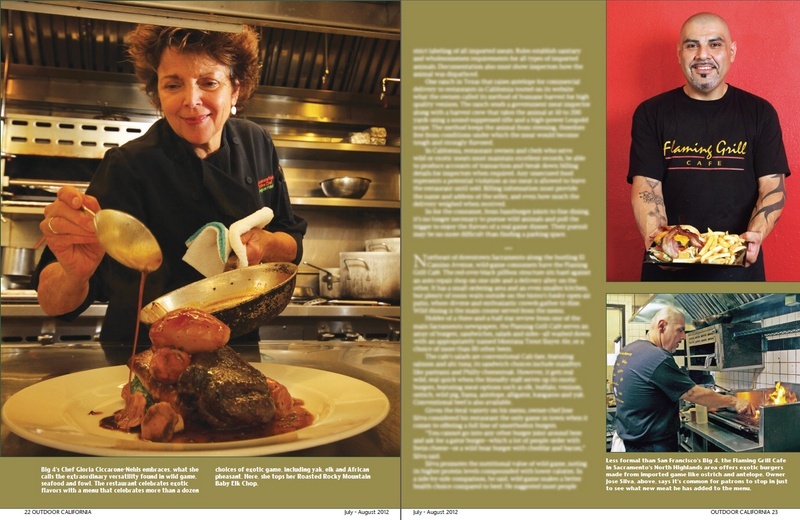 The editor wanted photos that deliciously presented the food plates along with shots of the people who prepared them. 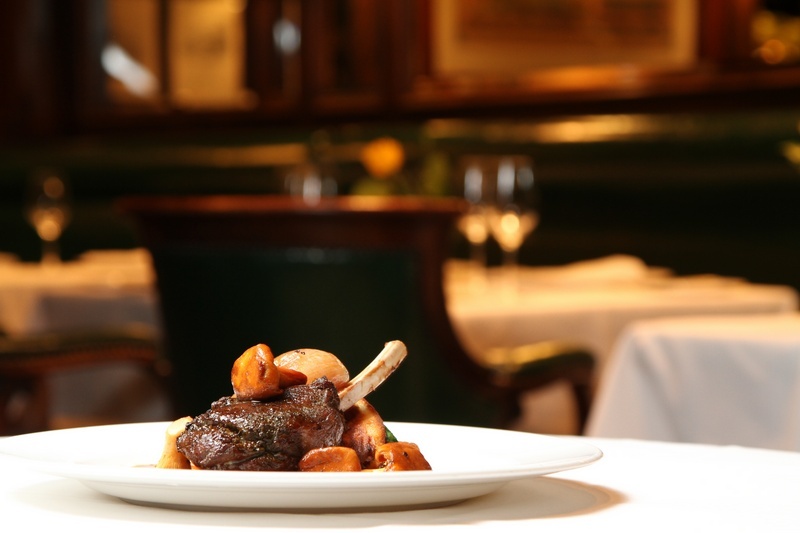 Wild game meat includes kangaroo, camel, wild boar, antelope, ostrich, elk, and whatever can be arranged by the restaurant. I don’t know all the legal particulars, but it is clear that this is a highly-regulated industry to prevent poaching or other illegal takes as well as consumer safety. 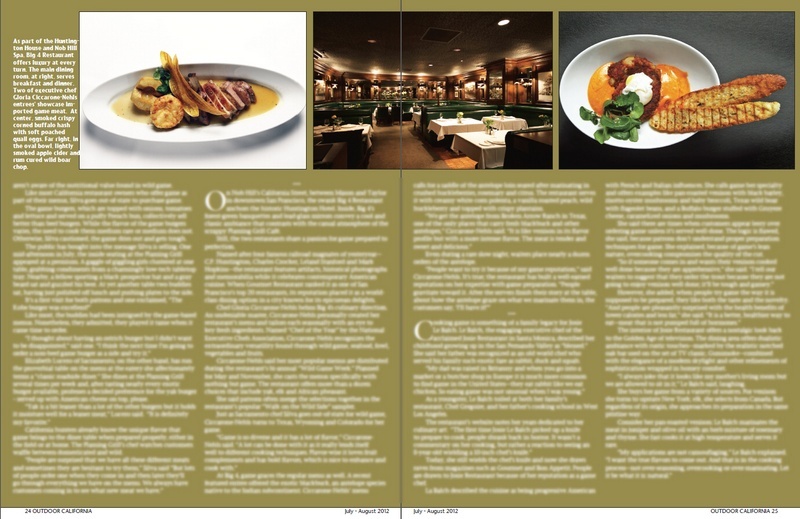 For variety, the article contrasted two restaurants: a casual diner in Sacramento and a high-end restaurant in San Francisco. 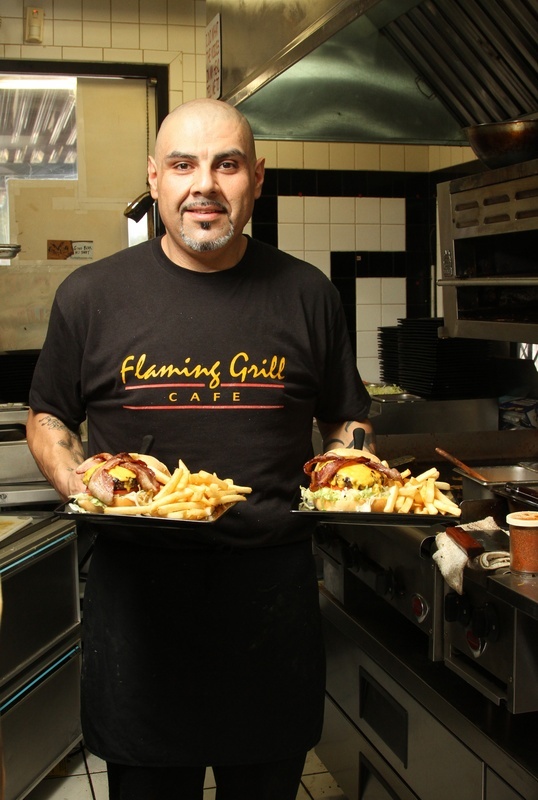 The Flaming Grill Cafe in Sacramento is located on a busy street next to a car repair shop. The diner has an array of sheltered-outdoor patio seating. Think: heavy wood picnic tables. The kitchen area is about 4′ x 8′ and barely has enough room for two people to squeeze past each other without charring some of their own body parts on the grill. The Flaming Grill is very popular with locals who frequently stop in to see what new exotic meat options are available on the menu. The owner does most of the cooking and he quickly started grilling four burgers, made of beef, camel, wild boar and kangaroo meats. I squeezed into the grill area with a wide angle lens and a couple of speedlights for lighting. There was no room for light stands, so the flashes were positioned on the tops of a paper towel dispenser, exhaust hood, anything that wasn’t too hot. The RadioPopper JRx triggers came in very handy as I could quickly adjust each light separately. I had about four minutes to get a decent grilling-in-action shot. He was still flipping faster than I was shooting. The kitchen of the Flaming Grill Cafe is tight quarters. After the food was prepared, I got a few shots of the burger plates, each complete with french fries. Then it was tasting time. Leaving some negative space for headlines or text. First of all, let me say, nothing tasted like chicken. The wild boar reminded me of pork sliders and the others were pretty beefy in flavor. All were juicy and all around good grilling food. 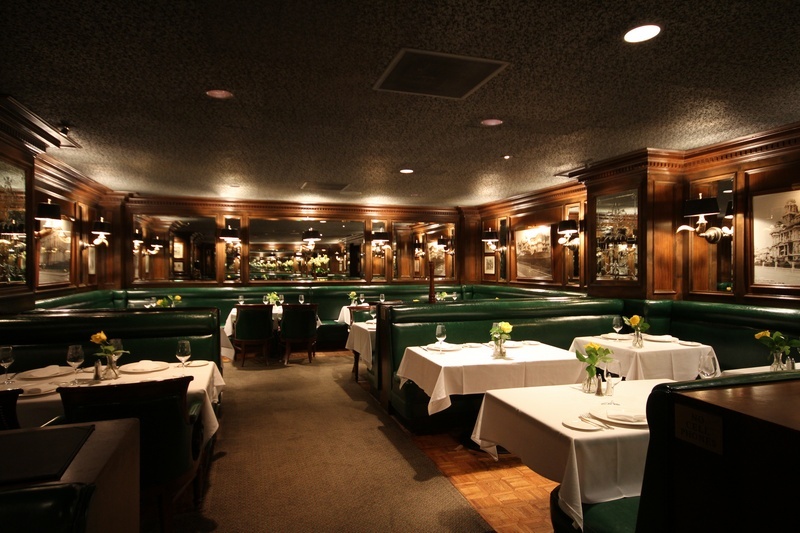 The Big 4 Restaurant is part of the Huntington Hotel in the Financial District in San Francisco. The Big 4 Restaurant is located in San Francisco. As I climbed one of the famously steep hills next to the restaurant, I saw two men on the sidewalk, pushing a piano up the hill. I wanted a photo of this spectacle, but unfortunately there was no place to stop or park. I considered stopping in the middle of the steep street, but I was driving a manual transmission. I may be crazy, but not that crazy. Without a camera handy, I committed the scene to memory and continued on to the restaurant. It was an amazing sight, to say the least. I was looking around for Wile E. Coyote, but he was nowhere to be found. Once inside the Big 4 Restaurant, I followed a similar method as I did at Oishii. I met the executive chef, and then got busy taking photos of the interior of the restaurant. They were closed at the time, so I had the place to myself. I used a tripod and a slow shutter speed to capture the interiors with available light. 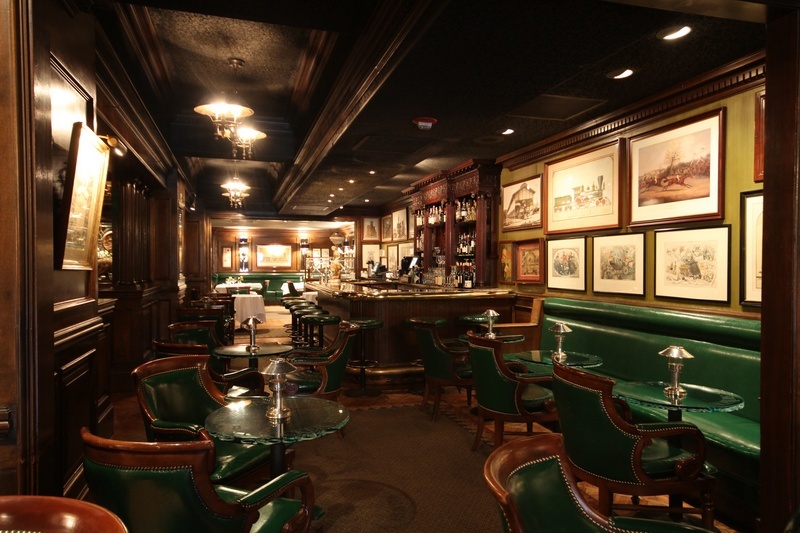 The restaurant is very upscale, with dark wood walls, delicate lighting and a railroad motif. 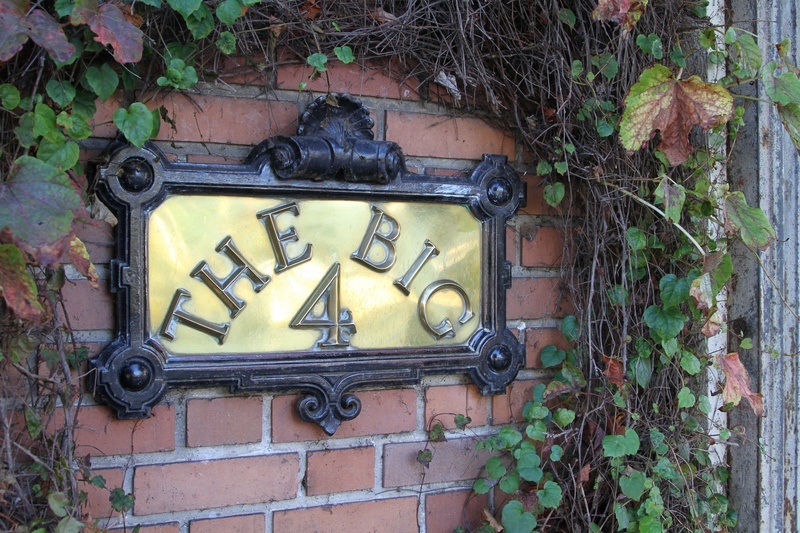 “Big 4” refers to the big four railroad magnates in California. The dining area inside the Big 4 Restaurant. The bar area has equally tasteful decor. I moved to the kitchen and grabbed a few food-preparation shots with the same run-and-gun lighting and shooting technique as I used at Flaming Grill. 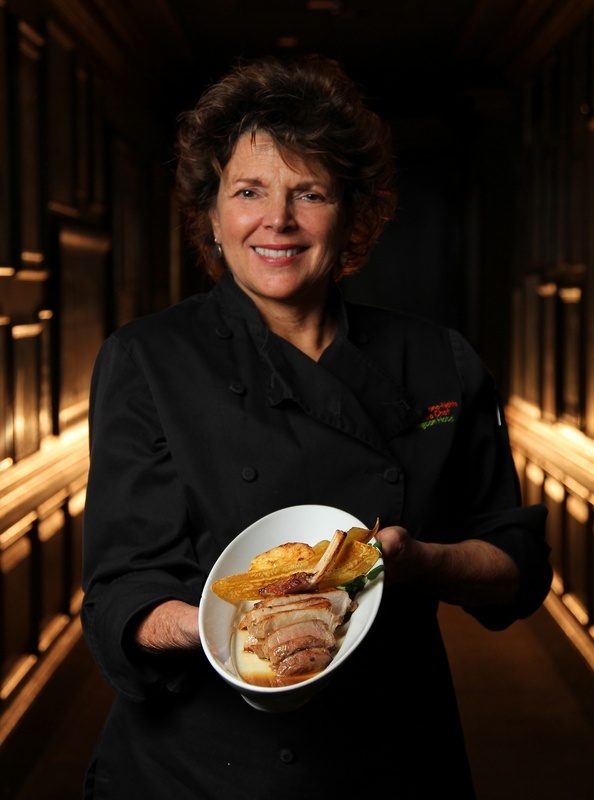 The executive chef puts the finishing touches on a plate. The plated food photographs were taken in the dining room on one of the dining tables. As before, I used one main light and a few small reflectors to kick up the dark areas where needed. Using the room setting as a backdrop for context. I shot a variety of setups, some with large areas of negative space for dropping in text, giving the editor plenty of options in the final layout (below). Next postSports photos – how much gear is enough? Nice pix and informative. 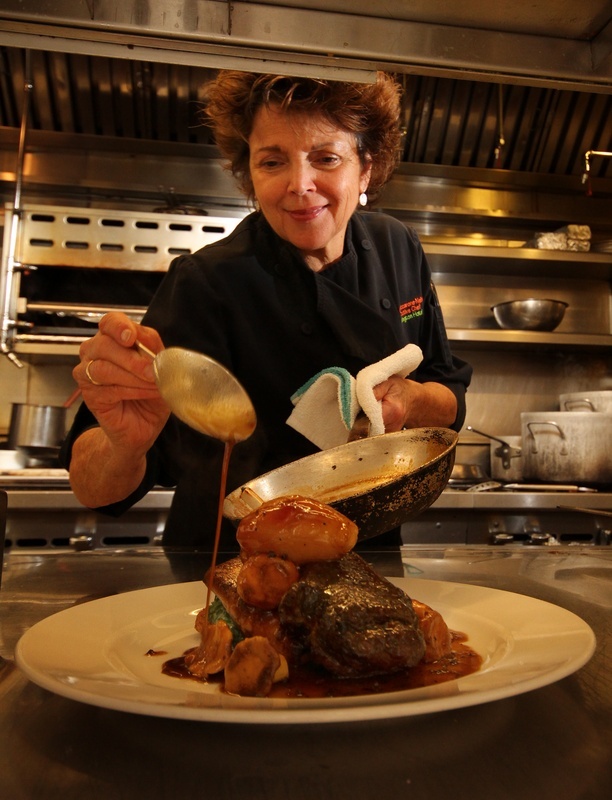 The exec chef saucing the plate is awesome. All very appetizing. And I learned something.